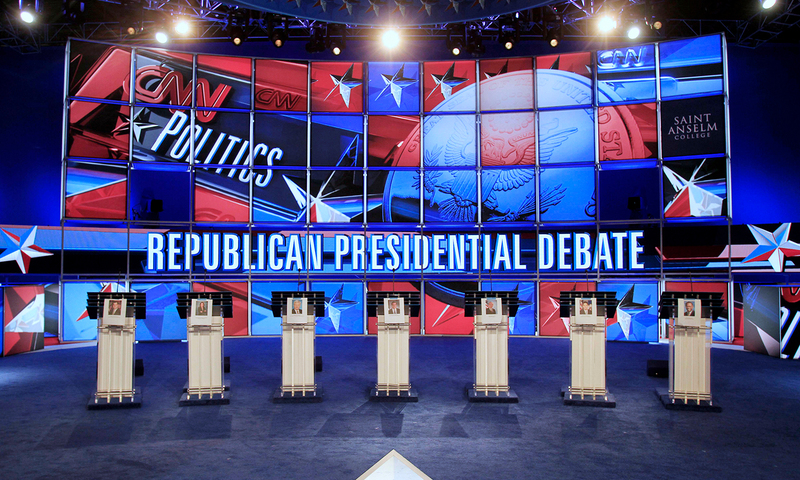 Ever since Nixon and Kennedy, the presidential debates have become must-see-television. 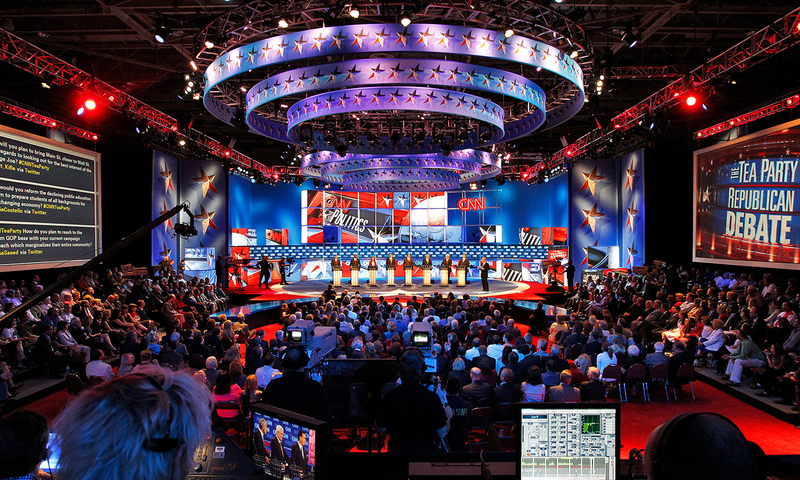 Clickspring once again joined CNN to create a forum for the US presidential debates as Republican hopefuls vied for the 2012 nomination. 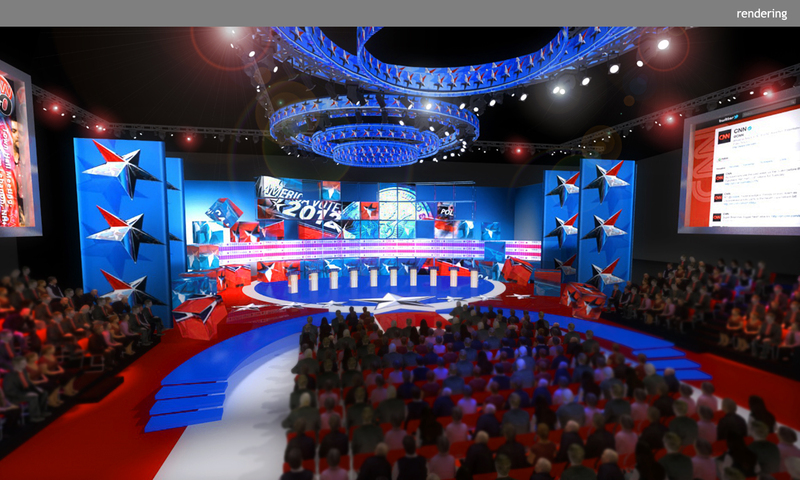 The resulting design was an environment capable of adapting to multiple venues across the country. 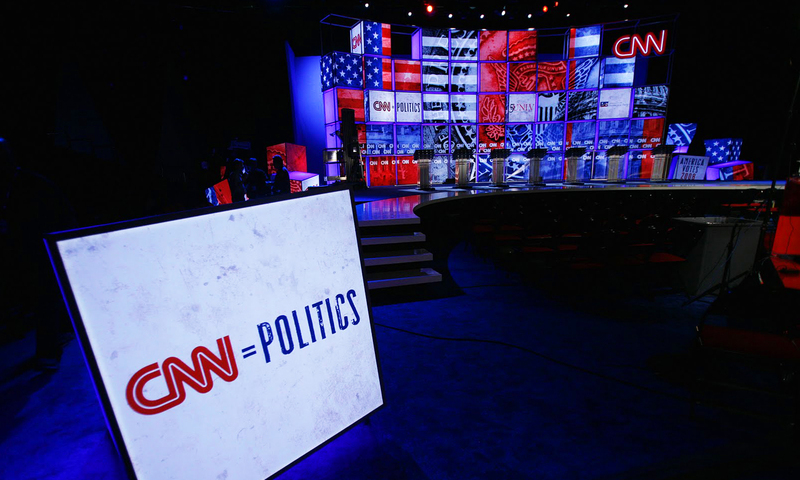 The first of the debates, at St. Anselm College in New Hampshire, was the most watched Republican debate in American history.